Options to Shutdown, Logout, and configure Debian 7 GNOME 3 (and “Classic”) are normally found by clicking on your name at the top right. 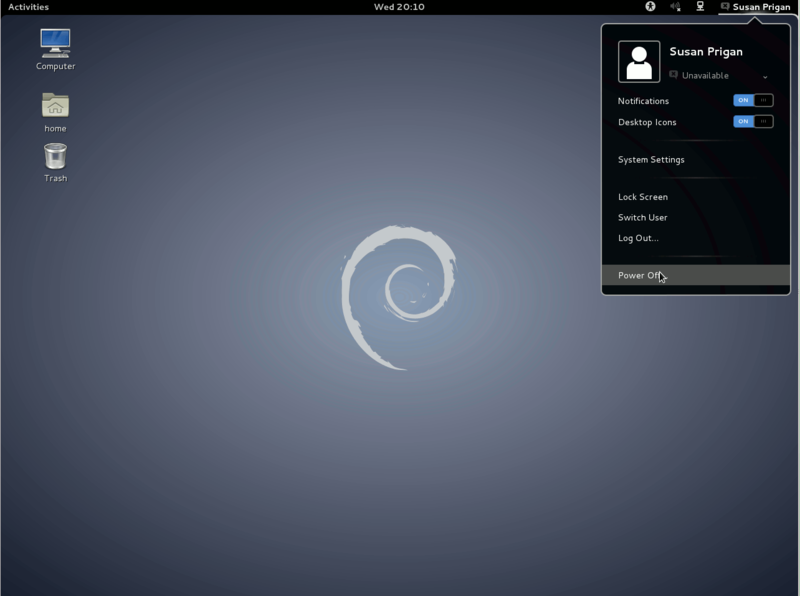 The image below is GNOME 3: “Classic” mode is quite similar. Suspend options may also appear, depending upon hardware and configuration. Social media and Notifications also appear in the dropdown in GNOME 3. Other functions on the top task bar include accessibility, sound control, networking. This entry was posted in Linux, Resources. Bookmark the permalink.